You’re all set up and ready to start dropshipping goods to your customers. Congratulations — you’ve gotten to a point few others do, but wish they had. Next in the learning curve is understanding marketing and the tasks involved in running your dropshipping business on a day-to-day basis, which is exactly what we’re going to cover. When in comes to marketing your new online store, there are about a million and one tactics. Obviously, I can’t cover them all. However, what I can do is highlight the most important ones (such as getting customer reviews) and the most obvious ones (including social media). Also, while I do touch on some basic marketing strategies, I go into them much more in-depth in the "scaling your store" section of this guide. Note: Remember how I said marketing isn’t as important if you’re opening a store on Amazon or eBay? Some of the strategies outlined here will still apply to you if you’re selling there, and will go a long way to help you beat the competition. As such, don’t skip this section. If you rely solely on Amazon or eBay, customer reviews will make or break your store’s success. Period. Think about it: When you go on Amazon, do you look at product reviews before you buy? Sometimes a lower price might sway you to buy a product other than one you intended, but not if the reviews are awful. Great reviews give you a competitive edge and allow you to charge a premium for your goods. Sell a great product: This is why choosing high-quality goods from high-quality suppliers is so important. Provide excellent service: I talk about this in the "customer service" section of this guide, but providing top-notch service is key to great reviews. Ship products on time or faster: People expect products to be delivered on time. Try to beat this expectation. If you say items ship within 3 business days, why not try to ship within 2? Ask for a review: Most people simply forget or don’t realize they should leave reviews. Amazon sends an email, but don’t be afraid to send another follow-up email of your own if they don’t respond to Amazon’s. You can use a site like FeedbackFive to automate this process. In addition to the four steps above, don’t be afraid to ask for reviews via social media. You can also use more advanced tactics like reaching out to top reviewers on Amazon or giving away free products in exchange for unbiased reviews. When listing and optimizing your products on eBay, make sure you don't overlook all the options available to you in the listing upgrades. The gallery plus upgrade costs a measly $0.35 (or $1 to keep until canceled) and shows a larger version of your featured image in the search results. Many people click on products based on the image, so this seems to be the best upgrade. Pro Tip: Make the most of your images! Amazing images increase conversions. Here’s a guide to great product photography. That said, once you get into selling on eBay, it’s important to test the upgrades and track the results to see which ones work best for you personally. I can’t talk about marketing in the twenty-first century without talking about social media. It’s become such an integral part of almost everyone’s daily lives. When it comes to social media, less is more. Rather than trying to be on every site just for the sake of being on every site, pick one or two networks that make the most sense and branch out from there. Personally, I believe Facebook is a must for nearly every business. It has the largest user base at 1.79 billion monthly active users and encompass nearly every demographic of people. There are a few other marketing tactics for your online store I’d like to briefly mention here. If you want more info, head over to the "scaling" section of this guide. PPC advertising is a classic marketing avenue. It’s a simple exchange; money for traffic (a.k.a. “clicks”). Of course, there are more options out there, but these are the big three. PPC is a difficult beast to tackle, so I recommend taking things slow and testing a lot before diving into a big spend. Unbounce created the noob guide to PPC if you’re interested in learning more. Email is the single most important marketing tactic you’ll ever master in the world of online business. This is one of the biggest reasons I recommend creating your own website. Amazon and eBay keep customer emails a secret, and that’s no good. You want those emails! Note: That’s not to say you shouldn’t start your store on Amazon or eBay, just that you should eventually look into creating your own website if you want to truly grow and become a thriving business. You can use a tool like MailChimp, Aweber, or ConvertKit to start capturing customer emails and send them automated drip campaigns (automated emails that go out over a course of time that contain content or discounts). Shopify has a full guide to eCommerce email marketing if you want to learn more. Of course, these three marketing tactics are barely scratching the surface. There are many other types of growth hacking tactics you can use. Check out this guide by Sellbrite to learn more. Now then, on to refunds! There’s no avoiding it; if you run an online store, there will come a time when you need to issue a refund or replace a product. The customer will contact you to request a return or refund. You then request a return merchandise authorization (RMA) number from your supplier(s). The supplier will then refund your account for the wholesale price of the merchandise (not the price the customer paid). Finally, you will refund the customer everything they paid for the product. Pro Tip: Take a note of your supplier’s return policy, as stated in the “Choosing a supplier” section of this guide. If they have a nice 45-day window, you’re golden to give your customers a nice window, too. If it’s shorter, you may have to consider shortening your return window or taking a loss on the orders that get returned past your supplier's return window. Some suppliers may charge you a restocking fee if you get any returns. If that’s the case, I recommend you don’t pass this fee onto your customer. Yes, you’re bound to take a loss every now and again. However, it will be worth it in the long run because you’ll retain customers who would have gone elsewhere to avoid paying the restocking fee. Have you ever received a defective item and had to pay to return it? That’s not only extremely uncool — you probably never shopped with that vendor again. Unfortunately, most suppliers will charge a fee to return items even if they’re defective. We hope it doesn’t happen to you, but you should be prepared for the possibility all the same. If your supplier charges a fee like this and won’t let you get out of it, don’t pass this fee onto your customer. Again, you’re bound to take a hit or two, but in the long run you’ll keep happy customers and they’ll have a higher lifetime value to you. Pro Tip: If you really want to impress customers and keep them for life, consider sending them a new product without even asking for the old one back! Not only will the customer be pleasantly surprised, but they’re likely to keep doing business with you because of it. Sometimes, the supplier screws up. It happens. They send the wrong item to the right person, or the right item to the wrong person. How do you handle these situations? Well, in most cases you should simply contact the supplier and explain to them what happened. If they’re a good supplier (you did vet them, right?) they will reimburse you. Pro Tip: Try to communicate via email rather than phone, so you have a written record should legal action be required. Hopefully that won’t be necessary, but again, it doesn't hurt to be prepared. If it’s a serious mixup and your supplier refuses to reimburse you, don't be afraid to file a chargeback against them through your credit card company. You may also need to send them a letter stating that you will take legal action if they continue to refuse to refund you. Otherwise, eat the loss and find a new supplier. Anyone not willing to work with you isn’t worth working with, anyway. One of the biggest headaches of dropshipping through numerous suppliers (which is recommended, by the way — it's better to have multiple options in case one proves difficult or unreliable, like we just mentioned!) is dealing with inventory. When dealing with inventory (especially other people’s inventory), you’re bound to get an order for an item that’s out of stock. The solution? Put the product on “backorder” and immediately explain the situation to the buyer. Email them to let them know you can’t fulfill the order, and give them the option to get a refund or wait for the item to arrive. Be sure to give them an ETA if your supplier has already indicated when the item will be available. If not, you can offer your best guess but make it clear that your estimate is only a guess. So, you’re probably wondering, "what do I do once I get an order?" The answer depends on how many suppliers you have for each product, where they’re located, cost, and availability - as well as whether you want to automate the dropship fulfillment process or handle it personally. The first (and often easiest) method I’ll mention is automating your ordering process, and directing emails to your best supplier. By “best supplier,” I mean the one who gives you the best deals or has the best product. Alternatively, you can route orders to a supplier you want to develop a closer relationship with. To automate this process, you should be able to simply add the supplier’s email as a recipient for all incoming orders you receive. 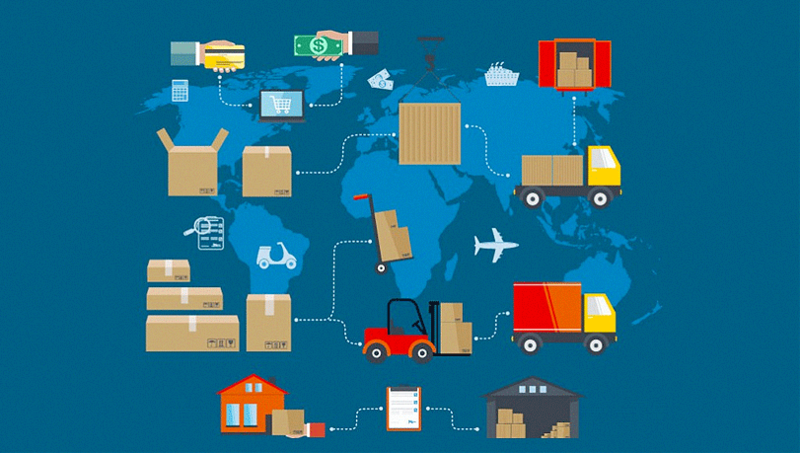 While this can be a little more difficult to automate, sending orders to suppliers based on their location is a good idea if you want your orders to reach your customers as quickly as possible. For example, if you get an order from west coast of the U.S., you may want a supplier also located there to area to process the order, which will most likely lead to faster shipping times than a supplier based on, say, the east coast. You’ve already learned that managing inventory from multiple sources can complicate things. You may need to send orders to a less-than-ideal supplier simply because no one else has the inventory in stock. This can be difficult to automate as well, but again, third-party inventory management software can help. Lower item costs mean bigger profit margins. If you're looking to maximize your returns, it's time to do some price comparisons on your suppliers. You’ll need to figure out which one gives you the lowest prices so you can automate to that vendor. Another concern you may encounter while running an online store is receiving fraudulent orders. Fraud is not fun, but can be avoided with a little common sense. Many times, scammers will use someone else’s credit card to ship items to themselves. Thus, the billing and shipping addresses will be different. Keep in mind, this could also be someone purchasing a gift or residing at a temporary address. To avoid fraud (and potentially upsetting your customer) give them a call just to be safe. The biggest red flag is if the billing and shipping addresses are in completely separate countries. Again, you might encounter people who are purchasing gifts. A simple phone call will go a long way to avoiding a mishap. If you get an order from jqft79hq6@aol.com, something’s probably up. Often times, fraudulent orders will come with expedited shipping. This is so the crook can get their item fast and get away before anyone notices. Chargebacks happen when customers (or fraudsters) notify their credit card company that something is fishy about their order with you. It could mean they didn’t get their order, it wasn’t what they expected, they don’t recognize the charge, etc. If you don’t resolve the dispute, you’ll lose the money from the order and likely be hit with a fee ranging from $15 to $25 on top of that. When chargebacks happen (and they will, if you’re in business long enough), don’t panic. Most of the time they are a legitimate concern. It could mean a kid used their parent’s credit card or a customer is unhappy with an order, or the product never arrived. That said, react quickly! You usually only have a few days to respond, at most. You'll need to provide documentation of the original order, tracking information showing delivery, and probably a wholesale packing slip showing which items you purchased and shipped. If the chargeback was for a legitimate transaction, you will likely get the funds back. Provide as much evidence as you can supporting the order. If you receive a chargeback on an order with different billing and shipping addresses, you're probably going to lose. Few businesses win those types of chargeback cases — and some payment processors might only offer chargeback protection on orders shipped to the billing address associated with the card. That’s why you should be extra cautious of these orders. Customer support will play a huge role in your success or failure as a dropshipping company. Great customer service will carry you to the top; poor customer service will cost you money and eventually put an end to your business. Email is going to be your main support channel. If people have questions, this is the first place most of them will go. I recommend creating an email for your website called “yourname@yoursite.com”. Or, if you don’t want to associate your brand with your name, choose “support@yoursite.com”. Here is a full guide to email support if you need more help on the matter. Phone support may or may not be a part of your support strategy. Personally, I believe phone to be not only the most effective form of service, but also the most enlightening. You can learn a lot about your customers and their pain points by talking to them over the phone. If you do plan on offering phone support, consider creating a free Google Voice number. It’s a separate number that routes back to your own phone number and has a separate voicemail. That way, you won’t have to give out your personal number and can keep better track of business-specific calls. Here’s an article with some tips on providing excellent phone support. Live chat has become one of the top go-to support methods. It makes sense — many people don’t want to wait for a response but also don’t want to get on the phone. Of course, live chat only really applies if you have your own website. The pros of live chat include a higher chance of catching customer complaints and issues. On the downside, however, people tend to expect a much faster response (within one hour, at most) and it will likely mean more messages to respond to. If you’re ready to include live chat as a support channel, check out free live chat apps like Formilla. If you need more help understanding how to provide live chat support, check out this guide. For the same reasons live chat continues to thrive, social media has become a go-to spot for customer support questions and concerns, and even just for people wanting to chat. If you’re going to be on social media (and you should be), it’s important to respond to all the comments and messages from your followers and customers. Not doing so makes you look shady and gives your competition an easy win. Want to understand more about the social support experience? Here’s the complete guide to using social media for customer support. While it's not something you need to think about when you're just getting started, eventually if you keep growing you’ll need something to keep track of all the customer questions... Queue the help desk software. A help desk is basically a digital hub for all of your customers' questions, comments, and concerns. It allows you to respond to their requests for assistance. One of the best help desk software options out there is Groove. You can also check out HelpScout. And, of course, here’s a guide to creating an effective help desk. Continue spending half your day on customer service, or hire someone to take over for you so you can focus on growing your business. This is where hiring a virtual assistant (VA) comes in! VAs are great because you can hire them on a contract — which means no employment paperwork and no worrying about needing to fire someone — and they can work from anywhere in the world with an internet connection, potentially even while you sleep. I’ll talk more about hiring virtual assistants in the next section of this guide, "scaling your dropshipping business," but I wanted to briefly mention it here. You can find VAs on sites like Upwork or Fiverr. Dropshipping is a highly competitive industry, regardless of the niche you choose. You need every edge you can get. If you focus on adding more value than anyone else, you’ll do just fine. Throwing in a small free gift with your orders. Giving away guides with the purchase of a complex product. Reaching out to people to make sure customers got their package OK and are happy with their purchase. Remember: You’re not just selling a product — you’re selling a solution. If you really want to build a business, you need to be in it for the long game. That means you shouldn’t cut corners. Don’t skimp on product quality. Only work with the best suppliers. Develop strong relationships with your customers and your suppliers (even if it means a short-term loss such as absorbing a shipping cost). Remember: Success doesn’t happen overnight. It takes time and dedication. Customer service can be your secret weapon when running a dropshipping business. It’s so rare to receive truly top-notch customer service that people will become customers for life when they get it. Spend time really listening to your customers, rather than waiting for your turn to talk. Respond to their messages fast and solve every problem. Surprise customers with small and large acts of kindness: Send them a bouquet of flowers or a box of chocolates just to say thanks! Don’t force customers to send back a faulty product — just send the new one. Remember: Your customers are people, too. Treat them like you’d love to be treated. More product listings (which means more images, titles, descriptions, etc.). Remember: Choice paralysis is a real thing. Cut your listings down to one or two products and branch out from there. That’s all I’ve got for you for now! Remember to take action and start learning by doing. Reading guides can only get you so far — go try some marketing tactics and answer some customer questions to get a feel for it! Seeing sales and ready to grow your new store? Head to the next section on scaling your dropshipping business.